Wish I Had an iPad Controlled Yacht Like This! 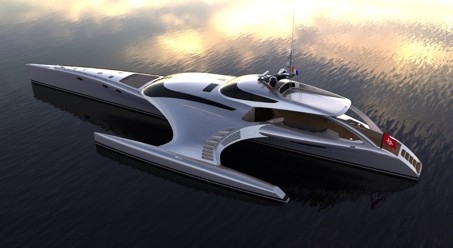 "Looking more like a floating spaceship than a luxury boat, the Adastra is the result of five years of work by billionaire Anto Marden and yacht designer John Shuttleworth." Beauty and brains here, since its full of high-tech stuff including an iPad powered remote control system that can control a number of features from up to 50 meters distance. The cost to build? Approximately $23.9 million. The Daily Mall has a full story on the ship, or you can go right to the Adastra website.